“People go to Key West for lots of different reasons. Joey Goldman went there to become a gangster…” So begins this classic Key West caper, the hilarious and touching book that launched a much-loved series and introduced the world to Bert the Shirt and his chihuahua Don Giovanni, two of the most unforgettable characters in contemporary fiction. Joey, the illegitimate son of a major NY mafioso, decides to break away from a decidedly unpromising future in the old neighborhood of Queens. But will the old neighborhood and the Family let him go in peace? Not if knucklehead half-brother Gino has anything to say about it. As Joey is finally establishing his new life in sunny Florida, Gino involves him in a disastrous scam featuring a boatload of stolen emeralds and several squads of very nasty thugs. Finding within himself resources of smarts and courage he never knew he had, Joey beats long odds and muddles through to a brilliant solution to the problems dumped on him by Gino. 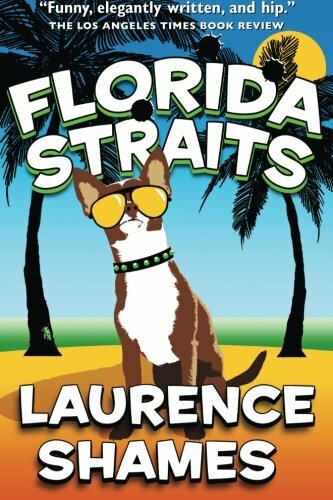 Cleverly plotted, enlivened by pitch-perfect dialogue, FLORIDA STRAITS is a completely satisfying mystery, but it’s more than that as well. Think of it as a fish-out-of-water coming-of-age novel, a comedy of very bad manners with an unlikely hero you will root for from page one.